Edward Regan Murphy is an American actor, comedian, writer, singer, and producer from Brooklyn, New York. 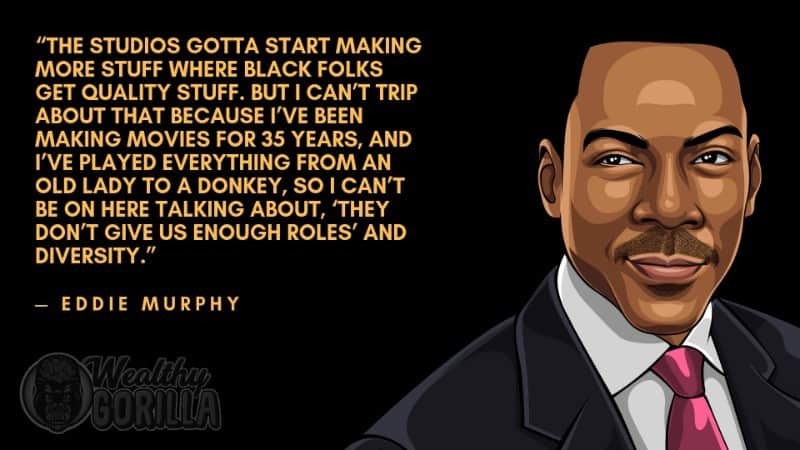 Murphy is a very successful comedian, who has been ranked as number #10 on Comedy Central’s list of the 100 Greatest Stand-ups of All Time. Murphy has also received many nominations and awards for his incredible performances in ‘The Nutty Professor’, ‘Dreamgirls’ and ‘Norbit’. 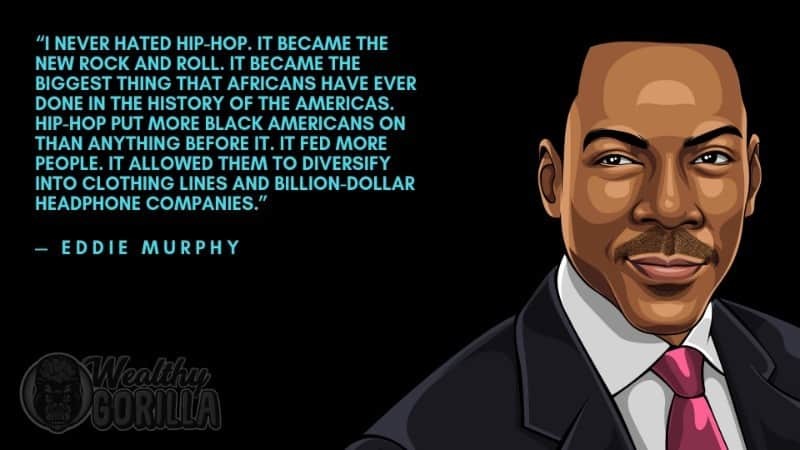 As of 2019, Eddie Murphy’s net worth is estimated to be roughly $120 million dollars. Edward Regan Murphy was born in Brooklyn, New York on the 3rd of April, 1961. His mother Lillian was a telephone operator, and his father, Charles Edward Murphy, was a transit police officer and an amateur comedian/actor. After his father’s death, his mother became ill, and he and his older brother Charlie had to live in foster care for one year. When Murphy was 15 years old, he was writing and performing his own routines, which were heavily influenced by Richard Pryor and Bill Cosby. Murphy began his career as a comedian in 1981 on NBC’s popular late-night comedy show ‘ Saturday Night Fever’. He started to perform periodically on the show after one night when a few minutes of airtime was left without any content, and he was asked to fill it with his stand-up performance. His successful performance was delightful and he became one of the main comedians on the show. Murphy created memorable characters such as Mister Robinson, who was an urban version of TV’s Mister Rogers and an illiterate convict and poet named Tyrone Green. Murphy had his debut film performance in 1982 when he starred in ’48 Hours’. 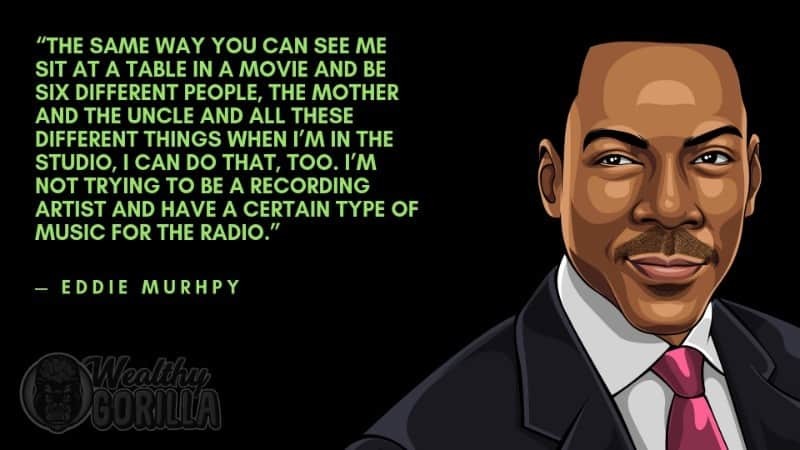 Two years later, Murphy’s performance in the film ‘Beverly Hills Cop’ made him a worldwide superstar, and he was nominated for a Golden Globe Award for the movie. His next successful movie was a romantic comedy, ‘Coming to America’, with Arsenio Hall which also became a huge success. In 1996, Murphy appeared in the comedy ‘The Nutty Professor’ which was a success at the box office. He also voiced the role of the donkey in ‘Shrek’ movie franchise. Murphys next performance was in the movie ‘Dreamgirls’ in 2006. However, after that, he appeared in movies including ‘Meet Dave’, ‘Imagine That’ and ‘Tower Heist’. As of 2019, Eddie Murphy’s net worth is $120 million dollars. 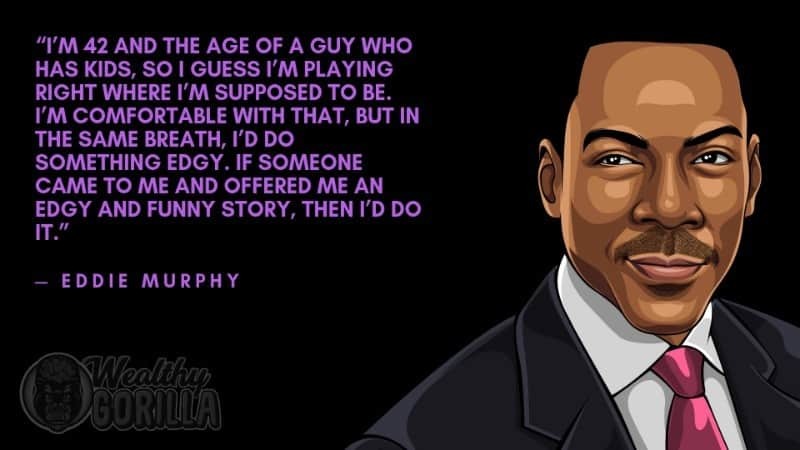 View our larger collection of the best Eddie Murphy quotes! You have to put the effort into whatever you are deciding to do in life. If you don’t have the energy to fight towards your dreams, how do you think the dreams will come through? Anything you have to acquire a taste for was not meant to be eaten. The advice Murphy would give to someone is to not take anyone’s advice. We can’t let the good things people say to you make you feel good, because you’re going to let the bad things make you feel bad. Eddie Murphy has been a popular actor throughout his whole career. Murphy’s net worth will, without doubt, continue to increase because he has always been a talented actor. As of 2019, Eddie Murphy’s net worth estimated to be $120 million dollars, and his movies have grossed nearly $6.7 billion at the worldwide box office. 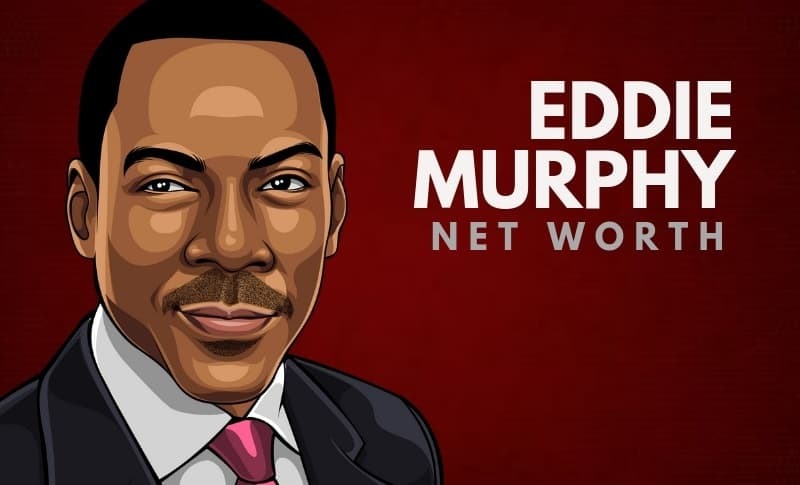 What do you think about Eddie Murphy’s net worth? Leave a comment below.